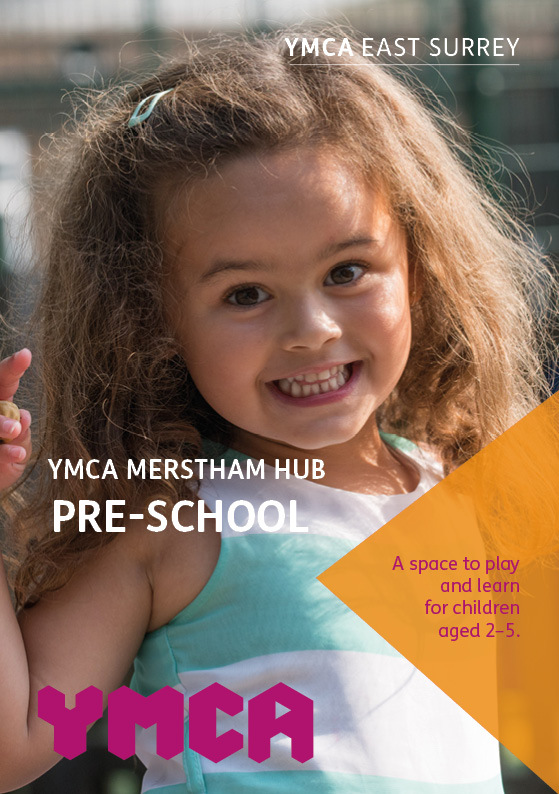 YMCA Merstham Hub Pre-school offers high quality and affordable childcare for children aged 2–5 within the Merstham community. Located in the Merstham Hub in Merstham, the pre-school benefits from a lovely bright activity room with an arts and crafts area. All children have access to a secure outdoor play area which includes water play, gardening and outdoor toys. The Pre-School follows the Early Years Foundation Stage framework as outlined in this Early Years Foundation Stage leaflet. Come and meet some of our staff, view our facilities and find out how we can help to inspire your child. Join us at one of our open days. YMCA Merstham Hub Pre-School runs term-time (38 weeks per year) during the following times. We welcome those with entitlement to FEET funding. Visit www.surreycc.gov.uk/feet to find out more and whether you are eligible. All children are entitled to funding for free childcare starting from the term after their third birthday. If your child is almost 3, come and have a chat with us about your requirements. YMCA East Surrey is a leading provider of under 5’s activities and out of school childcare, priding ourselves on our inclusive practice. All staff undergo an enhanced DBS check and regularly attend courses to update themselves and keep on top of changing policies. We have staff with specific experience in supporting children with a range of disabilities and learning requirements. Staff ratios are 1:4 for 2-3 years olds and 1:8 for 3-5 year olds in pre-school year.